Who are Real Earth Ambassadors? They’re true masters of the outdoors who excel at their craft. We search the world over to find professional wilderness guides, hunters, anglers, outdoor enthusiasts, explorers, and adventurers who are committed to the outdoor lifestyle. First and foremost a fly fisherman, Dan is also a well respected hunting guide, outdoorsman and videographer. Dan is the founder of Wild By Nature Outdoors and follows the seasons chasing fin or fur. 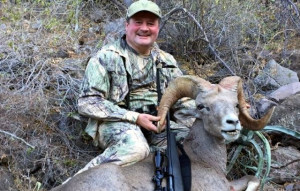 Jeff has hunted big game animals in the wilds of the Yukon Territory, Africa, Russia and all over North America, and just recently completed the Ovis grand slam of sheep, which includes the Dall, Stone, Bighorn, and Desert Bighorn. Jeff lives and breathes to travel the world chasing big game animals and the adventure that comes with it. 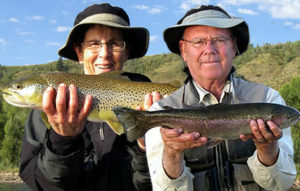 Living in Utah George and Toni Dever have abundant places to fish and to be outdoors. But, Utah is not their only outdoor stomping grounds. From the Utah border to Idaho, Wyoming, and Montana they have been blessed to live in and fish a world many can only dream. 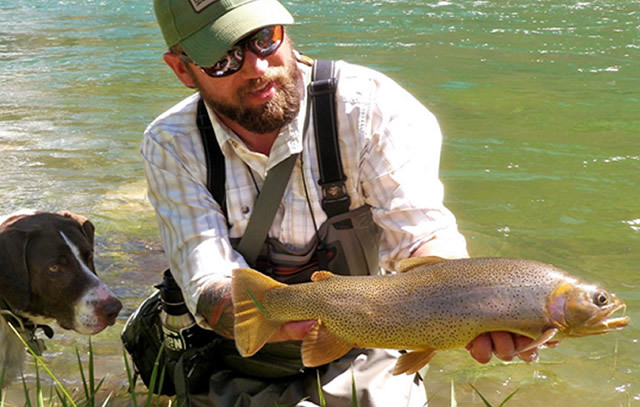 George grew up in Utah, and has been an avid fly fisherman for most of his life. Toni on the other hand was a city girl. "Oh, I would go along but simply did not understand the thrill of it all," stated Toni. "Then one day, George was tying some flies for his next trip. It looked rather interesting, so I said ‘I would like to try and tie a fly too.’ " George was delighted to show Toni the basics. According to Toni she tied the prettiest little green shiney fly she had ever seen, and joined her husband on the river. Toni caught her first trout on that hand tied fly, and at that moment the fly fishing bug caught Toni. That was more than 25 years ago. Toni and George will celebrate 52 years of marriage this July. Still in awe of the sport today Toni shared, "can you believe I wasted all those years just watching?"